Father’s day is an interesting day. Dating back all the way to 1910, it was first celebrated in Spokane. After a slow start, it was until the 1930’s, and with the backing of trade groups (I see similarities with Valentine’s day here), it was brought to national awareness in the US. And from there on it spread out over the globe. Originally portrayed as a companion to mother’s day, commercial hype has brought it to the level of being the panultimate day to celebrate being a dad. Lavish gifts are being promoted as something that has to be bought to celebrate this day. Though the core value is the one that matters: appreciating the fact your father is your father. And for me personally, that is the thought that counts. It is rather painfull then that I am one of an ever growing number of fathers who rarely get to see their child(ren). Just a few years back my ex and me broke up, with our son staying behind with her. The unfortunate side effect of having a full-time job, and not living close to your child after the break up. A break up usually leads to weird situation. What to do with the remnants of the family during holidays, and commemorative days? And Father’s day is not unlike the others. This year (as the previous years) I did not get to see my son. It was not “our” weekend. And though I am acceptant of this fact (it happens), in the back of your mind it still stings. I am sure a lot of divorced fathers feel this as well. I do not feel sad. It stings, but I know deep in their heart, even if you do not get to see your child(ren), the love for you will still be there. Just keep giving them the love they deserve. And remember that as a divorced father, despite everything (including a new partner for your ex), your are not alone. There are more fathers like you out there who feel like you do. Despite everything (good or bad) keep believing everything will be alright. Once in a while it happens. You wake up, get out of bed and get ready to go to work. And the unmistakable feeling of, for a lack of better words, “something” keeps gnawing at the back of your mind. One of those days that you just don’t feel like anything, and nothing can truly satisfy you intelectually or emtionally. And today is one of those days, for me at least. Not that there isn’t anything to look forward to, hell everything is going great. I am positive, good things are looming at the horizon, and above it all I am healthy and well. But in the end all I can say, let’s just mope around till this days passes and something interesting walks by. And enjoy doing so! Running at approximately 73 minutes, this latest audio drama published by The Black Library in the Horus Heresy series depicts an engagement between the World Eaters and the Word Bearers versus an Eldar fleet. 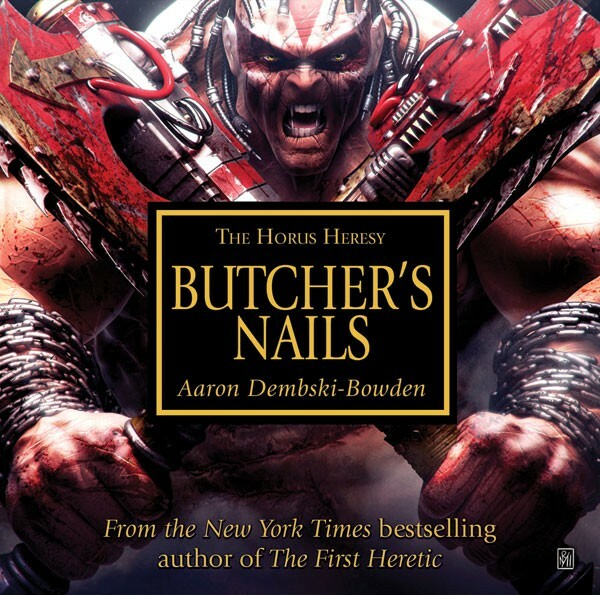 Although briefly touched upon in previous books and audio shorts, a publication in this series focusing solely on the World Eaters (Lorgars legion features, but mostly as a side-show) deepens the lore of the Hersy even further. Written by the excellent author, Aaron Demski-Bowden, we get a deeper look into what makes this legion, and especially the primarch Angron, tick. I enjoy listening to audiobooks on my long commutes. Although I do not have the luxury of being able to devote all my attention to the story (seeing as I play this through my car stereo, as opposed to those who listen to these drama’s on a more portable media), it makes the long rides more bearable. In fact, many a time I am wishing for the road to be longer so I don’t have to interrupt what I am listening at. Buther’s Nails is one of those excellent audio drama’s. It grips the listener straight from the get go, and propels him/her right into the action. 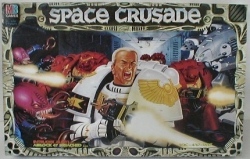 The World Eaters, now commonly depicted as violence chasing madmen, do benefit from the Horus Heresy series as a whole. This drama, and other shorts before it, including “cameo’s” in other books, give each representative of this legion a lot more depth beyond the mindless savagery they become known for in the current universe of Warhammer 40K. I was quite pleasantly surprised that this drama featured less violence, gore and battle scenes than one would expect. Granted, it does depict one long skirmish, but the deeper layer Aaron Demski-Bowden has managed to weave into the story adds an overwhelming sense of tragedy associated with Angron and his legion. An overwhelming sense of what-if was left behind in my mind, as well as a huge amount of despise for the main characters brother Lorgar. It is very tempting to write spoilers on the story as a whole, suffice it to say that Lorgars role in the downfall of the traitor legions, and as an architect of the current state of chaos,deepens even further. The voice casting was pretty good. The voice for Lorgar was spot on for what I would have expected. I was surprised by the choice for Kharn, I do hope they stick with that for the rest of the series, for it IS distinctive. Changing it up would only hurt his character. I felt Angron was slightly off. While depicting his pain and madness, I felt it missed some of the oomph and boom I would expect for what the character represents. After all, we are talking about post-humans here, with Angron being a demigod towering over his space marines. The story itself was flowing quite nicely, with never a dull moment that I wished would go faster, or that would obstruct the flow of the narrative. In fact, the story was so well written, that at the end I was worrying I had missed something on the road as the road seemed much shorter than it really was. I highly recommend this short to everyone interested in the Warhammer 40K universe. Though I do admit: with some of the already established lore in mind, especially the back story of Angron, and where he and his fellow space marines end up is slightly mandatory. It makes everything all the more dramatic and tragic, and enhances the experience as a whole. Tussen de honderdduizenden lopende blogs ook een blog neer gaan zetten, met daarbij de focus op jezelf, wat je meemaakt, en hoe je over je werkveld denkt. Een moeilijke stap, vooral omdat je waarschijnlijk niet veel zult opvallen. Maar aan de andere kant, wel zeer zinvol. Net als ieder ander mens op deze aardbol heb ook ik een eigen visie, vanuit een eigen perspectief, op hoe de zaken zijn zoals ze zijn. En in plaats van het naast de koffie automaat te ventileren bij enkele collega’s, wat is er dan niet mooier om het in een blog te vatten waarmee je meer mensen potentieel kunt bereiken, en het stuk wat je weer wil geven ook makkelijker teruggehaald kan worden? “Dit is mijn blog. Er zijn veel blogs, maar dit is de mijne en dit noem ik thuis”.